Material - TPE Synthetic Rubber. PVC Free. Closed cell so will not absorb water or harbour bacteria. Independently tested by SGS Laboratories as Heavy Metal, Phthalate, AZO and Organotin free. Care instructions - Wipe with clean damp cloth with a mild detergent or anti-bacterial spray. 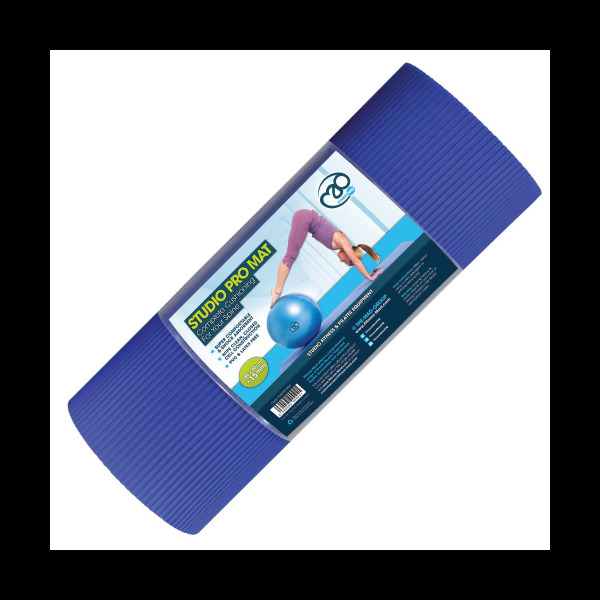 The Pro-Mat is our best mat for Pilates, exercise and therapy. The mat is double sided and will not slide on the floor. At 15mm thick it offers great support for the spine and knees. 2.6Kg Material: TPE Synthetic Rubber. PVC Free. Closed cell so will not absorb water or harbour bacteria.